I stalked a book sourcing expert, and it was awesome. Ok I didn't stalk Peter Valley in person, but I did watch 5 hours of video of him sourcing for books (it felt like stalking). (You can get the same videos too with my 1-year guarantee - I'll explain further down). 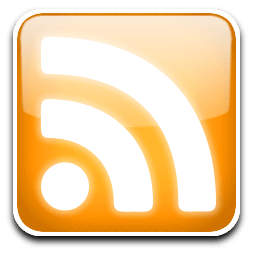 Let me preface this by saying smart online resellers love sourcing used books for several reasons (If you're a regular reader of this blog or a listener of my podcast, I've told you this already). Why? Anyone (yes, you) can 'start from zero', nada, zilch, and create up to a 6-figure (or $1000 profit/day) business with no employees (there are 'lifestyle' entrepreneurs who are doing this now, but they're a secretive bunch). Do you need recent profit proof? Sure you do: check a handful of my recent sales here, here, here and here. Remember I only dabble in used books and I still do very well with it profit-wise. So if I only dabble, what happens when a guy (like Peter Valley) turns sourcing into an all-day event just by driving around? You can find out here. See, Peter documented 5 hours worth of him scouting and sourcing local books (some free, the rest very cheap), edited it down, and added a 100-page manuscript. His final work is not glossy/slick (it's not supposed to be) but it is very, very interesting. 3.) You can earn a significant income sourcing and selling used books for as low as $7 (when you buy them for $1 or less) - and these are largely ignored by aforementioned 'amateurs'. 4.) By scanning/scouting consistently, you 'automatically' learn what books to avoid scanning entirely, thus increasing your productivity five-fold. Likewise, you learn how to 'gravitate' towards the more profitable books - automatically. 5.) 'Poorer' geographic areas are better for used book sourcing - far less competition and much greater selection. 7.) Weirder = better: If you don't immediately understand what a book's topic is about, there is a high chance it is a profitable book for you to resell. 10.) "[Used book profit] margins are so high [overall], it really doesn't matter if you're wrong [in your sourcing selections] most of the time." (Read that last one again, out loud). So if you're hip to the idea of becoming a smarter sourcing powerhouse for used books (locally and yes, online), I highly recommend Peter's just-released Book Sourcing: 1K in a Day. It's his all new box set (it includes the DVDs, this 75-page manuscript and other bonuses, that I also devoured immediately). His box set is so good I'm backing up your purchase with my own 1-year no-questions-asked, 100% money back guarantee* terms (see below). Get Peter's box set, and take action! P.S. If you've never sold used books on Amazon before, you should first download and read this free ebook. 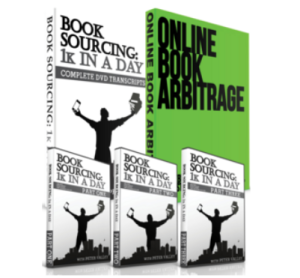 * Peter Valley (author/publisher of the Book Sourcing: 1K in a Day box set) offers a 60-day, no questions asked guarantee. If you buy it via my link (it’s the same price) I make a small commission from Peter BUT I will personally add another 305 days to that guarantee. So: if you decide the DVD bundle is not for you (and the 60 days have passed), send an email to me (jordanmalik@gmail.com) with the subject "VALLEY 1K REFUND" and I will reply to you with my mailing address. Simply ship 1.) the DVDs (and the physical copies of books if they come with it), 2.) a printed copy of your original emailed invoice for the purchase, and 3.) your paypal address. That's it! I will then send you a paypal payment for the exact amount you paid for it. It’s the same ‘extra’ guarantee I give to several of the excellent guides and services that I endorse). This looks interesting. Thanks for sharing. But do you think it can works for international sellers? Hi, if you can source textbooks inexpensively in your country that can be sold on a major Amazon.com marketplace (Amazon.com or Amazon.co.uk) yes it can probably done but I really don’t have the expertise to help you. Click Funnels “$1,000 a day” link is still down. How do I proceed? Hi, This appears to be a glitch with the hosting provider (Click Funnels) I am emailing Peter Valley at fbamastery@gmail.com, I will cc: you in the email. When I click link to get $1000 a day, it goes to page not found! Help! Next post: “Pie in the face” for some Amazon sellers?